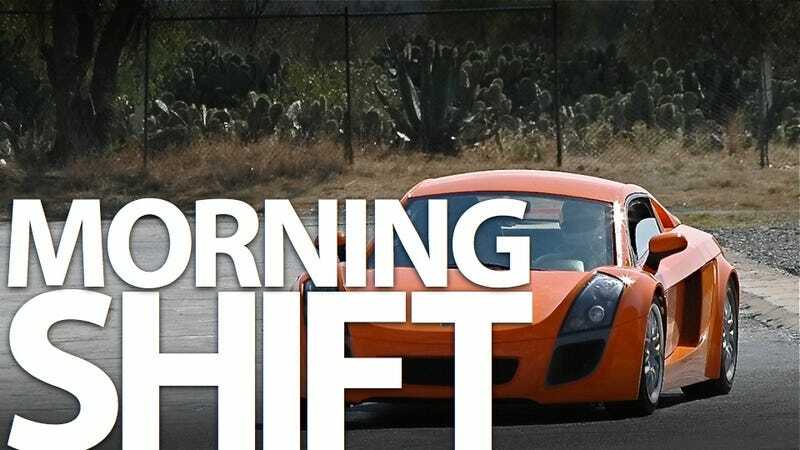 This is the Morning Shift, our one-stop daily roundup of all the auto news that's actually important — all in one place at 9:00 AM. Or you could spend all day waiting for other sites to parse it out to you one story at a time. Isn't your time more important? 1st Gear: Mexico's Mastretta car company, was ridiculed three weeks ago on the BBC's Top Gear as producing cars that are "lazy", "feckless" and "flatulent" — qualities it said paralleled the national character. Now Mastretta hopes to parlay its new-found fame into greater car sales for its MXT super car(above). We'd be lazy comedic writers if we made yet another siesta joke, but we will point out it did take three weeks to get this message out. 2nd Gear: Toho Co., the Japanese film studio best known for producing dozens of Godzilla movies over the past six decades, is out to stomp what it claims is Honda's unauthorized use of Godzilla's lizardly likeness in a "man van" commercial for the Odyssey minivan earlier this year. Yup, Godzilla's suing Honda. Where's Mothra when you need her(him, it?)? 3rd Gear: A new Melbourne-based company, EV Engineering Limited, says it will build seven proof-of-concept full-electric Holden Commodores by the middle of 2012. Well, if you're gonna make it an electric appliance, why not make it out of a brick house while you're at it? 4th Gear: Chinese carmaker BYD, backed by U.S. billionaire Warren Buffett, said on Friday it was slashing prices of five models by up to one-fifth in an effort to gain market share. Because, you know, when we think Chinese cars — the first thought that pops into our minds is "too expensive." 5th Gear: The MG TF is likely to be axed this year after 16 years of production. The new Chinese-owned MG company has manufactured a few hundred TFs in Longbridge, but Brits have only bought a handful of TFs since its relaunch in 2008. MG sold 133 of its two-seater roadster in 2008, 374 in 2009 and 282 in 2010. Countless dozens of fans are expected to mourn its passing. 6th Gear: In other news, just days after Pagani announced its new supercar would be coming to the United States, we've learned it will now be available for the Need for Speed Shift 2 Unleashed video game. We're also told that upon seeing the car for the first time, the in-game avatar will immediately bend over and Huarya on the track.